“Although groundwater depletion is rarely assessed and poorly documented, it is becoming recognized as an increasingly serious global problem that threatens sustainability of water supplies,” writes report author USGS hydrologist Leonard Konikow. 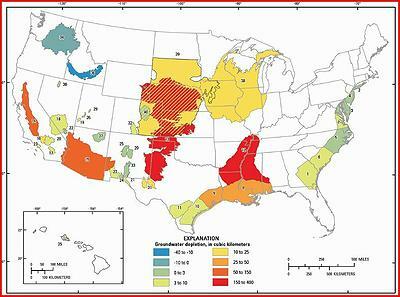 Since 1950, the use of U.S. groundwater resources for agricultural, industrial, and municipal purposes has expanded. 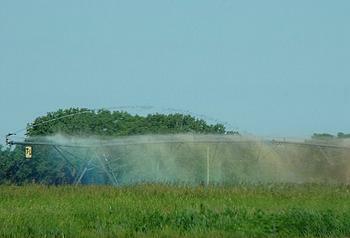 When groundwater is withdrawn from subsurface storage faster than it is recharged by precipitation or other water sources, the result is groundwater depletion. “Because groundwater systems typically respond slowly to human actions, a long-term perspective is vital to manage this valuable resource in sustainable ways,” Kimball said. The maximum rates of depletion have occurred during the most recent period of the study from 2000 to 2008, when the depletion rate averaged almost 25 cubic kilometers per year.